Since 1953, Pittenger Builders has been building quality, single-family homes. Our focus being on new homes in Monmouth and Ocean County. We specialize in site-built, modular, and home renovations. 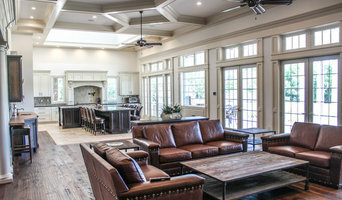 As 5th generation family owned and operated custom home builders, we take great pride in every new home we deliver. The Pittenger Builder's motto is: We are large enough to get the job done, yet small enough to get it done right. Hundreds of our houses in the Wall Township, Neptune area and throughout Monmouth County New Jersey attest to this. We know that housing needs vary from family to family and we build according to their choices. While most builders limit choices, we offer an abundance of them. Family members; Dwight, Wesley, and James Pittenger all bring unique experiences to the business. Their combined skills, offer a broad range of knowledge and talents. This sets them aside from others in the residential construction industry. As your home contractor, we treat you as family from start to finish. Striving to provide you with the best possible experience throughout the entire construction process. Whether you are building from the ground up, adding a home addition or remodeling an existing space, it is our core philosophy to keep you happy. Pittenger Builders is proud to build high quality, energy star efficient green homes. In-turn we can continue doing what we love most, providing the best housing in the communities we live in. We are a third generation family company that builds and restores Central New Jersey Shore's most prestigious homes. Since 1948 the Monetti family name has been synonymous with quality custom home building for discriminating clients throughout Monmouth County and Ocean County, New Jersey. Monetti Custom Homes has been featured repeatedly in many publications like Design NJ, Remodeling News & Builder/Architect. Gambrick is a third generation family owned company that designs, builds and restores New Jersey's most prestigious homes. For over 3 generations the Gambrick name has been synonymous with quality custom home building for discriminating clients throughout Monmouth County and Ocean County, New Jersey. Over the years we have built a solid reputation which is second to none in the industry. Our portfolio spans from budget driven restorations, repairs or remodels to the ultimate in luxury new homes and additions. We continue to build on our 50 plus years in business and hundreds of years of combined experience from our local craftsman into the next generation of homes. 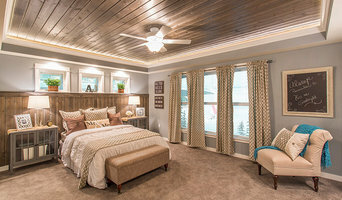 Sovereign Home Remodeling prides itself on quality of work above all else. We are privately owned and operated and realize the importance of customer satisfaction. In an industry overwhelmed with here today & gone tomorrow businesses & plagued by poor craftsmanship, Sovereign Home Remodeling brings with it over 25 years of expertise & knowledge, accompanied by inovation in design & build. We have designed several award winning kitchens & bathrooms. Also, in 2012 we built an HGTV viewers choice award home in Warren NJ. Not to mention hundreds of Siding, Windows, & Roofing jobs through out New Jersey. There is nothing we cant do. So before you move forward on your project, give us a call. The estimate is hassle free, informative, & costs you nothing. For Shark River Hills residential home builders who also act as developers, the job starts well before the first nail is driven. They perform local market research to determine whether the prospective homesites make sense in the Shark River Hills, NJ market, as well as survey the land on which the house will be built to make sure it is suitable for construction. Custom builders also obtain the necessary permits. A good custom home builder in Shark River Hills, NJ has skills that go far beyond construction — he or she must supervise subcontractors and artisans; keep tabs on local zoning regulations, building codes and other legalities; inspect work for problems along the way; and perform dozens of other roles that are essential in building a quality house. Here are some related professionals and vendors to complement the work of home builders: Interior Designers & Decorators, Landscape Architects & Landscape Designers, Architects & Building Designers, Kitchen & Bath Designers, Specialty Contractors. House builders are responsible for ensuring that the home-building project sticks as closely as possible to the specified timetable, particularly in the event of change orders. Custom and luxury home builders in Shark River Hills, NJ also need interpersonal skills to deal with clients of all types, soothe frazzled nerves, negotiate conflicts and resolve problems. Find custom home builders in Shark River Hills, NJ on Houzz. Narrow your search in the Professionals section of the website to Shark River Hills, NJ home builders. You can also look through Shark River Hills, NJ photos to find a house you like, then contact the builder who worked on it.